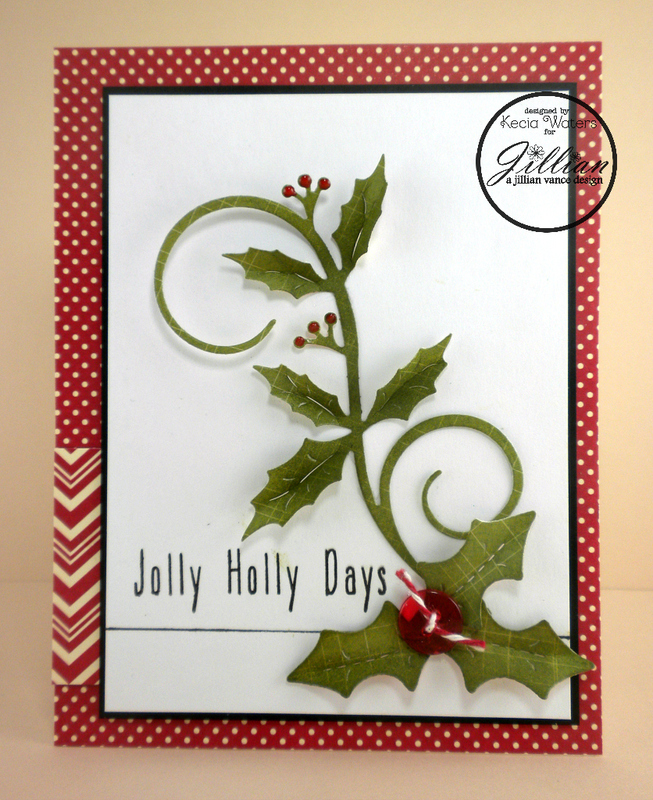 Using the AJVD "Holly & Swirls Die Set", I made this Christmas card to share with you. 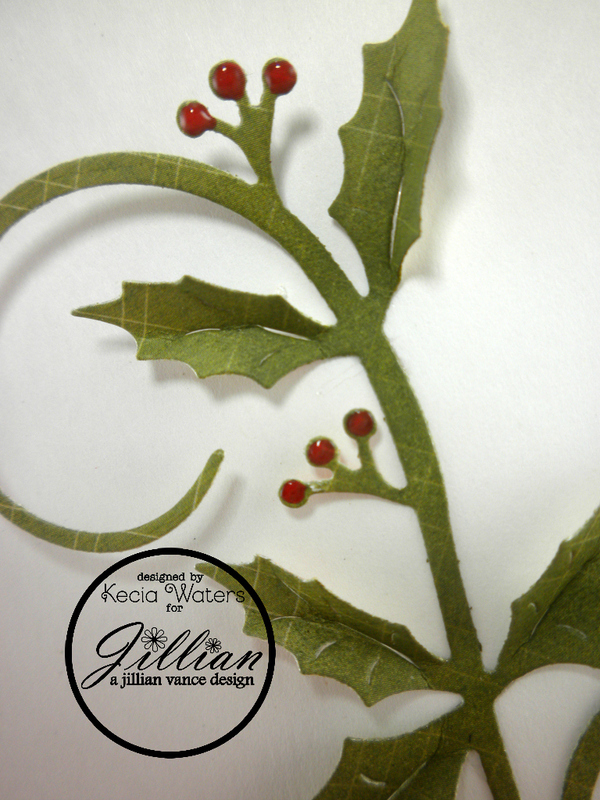 Kecia Waters here on the blog today. This die set is fabulous for quickly creating a very elegant, festive card when perhaps you don't have much time for cardmaking. 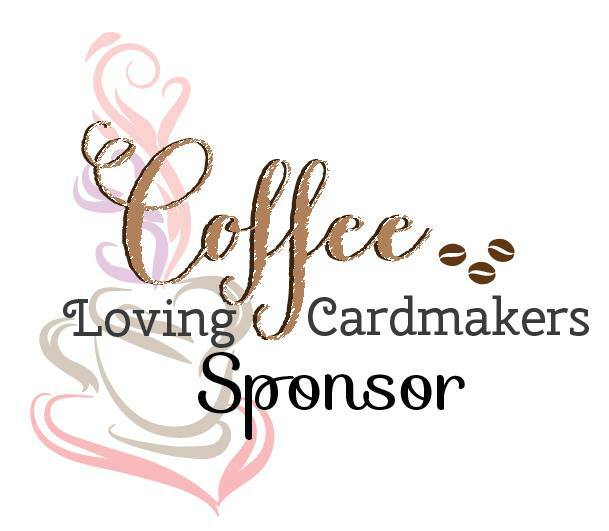 To make this card, I used the AJVD "Holly & Swirls Die Set" to cut some holly and swirls from green patterned paper from Imaginisce. I sponged some Distress Ink Peeled paint onto the leaves to give them some depth, and folded them at the creases. I adhered this to white cardstock, framed in black. For the berries, I added on red button with Baker's Twine, and added dots of red Viva Pearl pen for the small red berries. I drew a fine black line near the bottom of the white cardstock panel with a Memento Tuxedo Black marker. 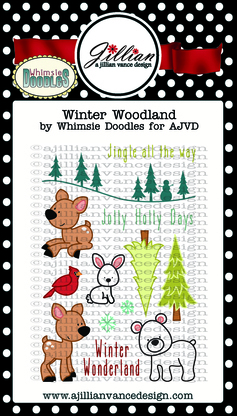 The sentiment is from the AJVD stamp set "Winter Woodland" by Whimsie Doodles and was stamped with Versafine Onyx Black. Patterned paper from Jillibean Soup form the larger panel. 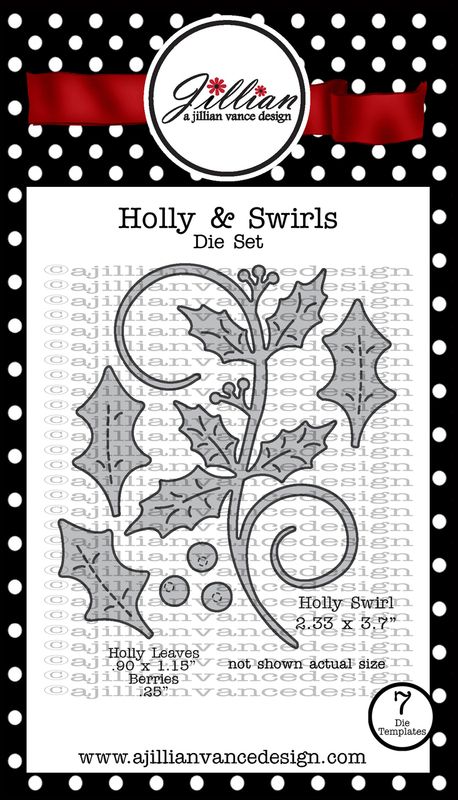 "Holly & Swirls Die Set"
If you haven't started your holiday cards, the "Holly Swirls Die Set" will help you easily create beautiful creations. Order now! I don't think you'll be disappointed. 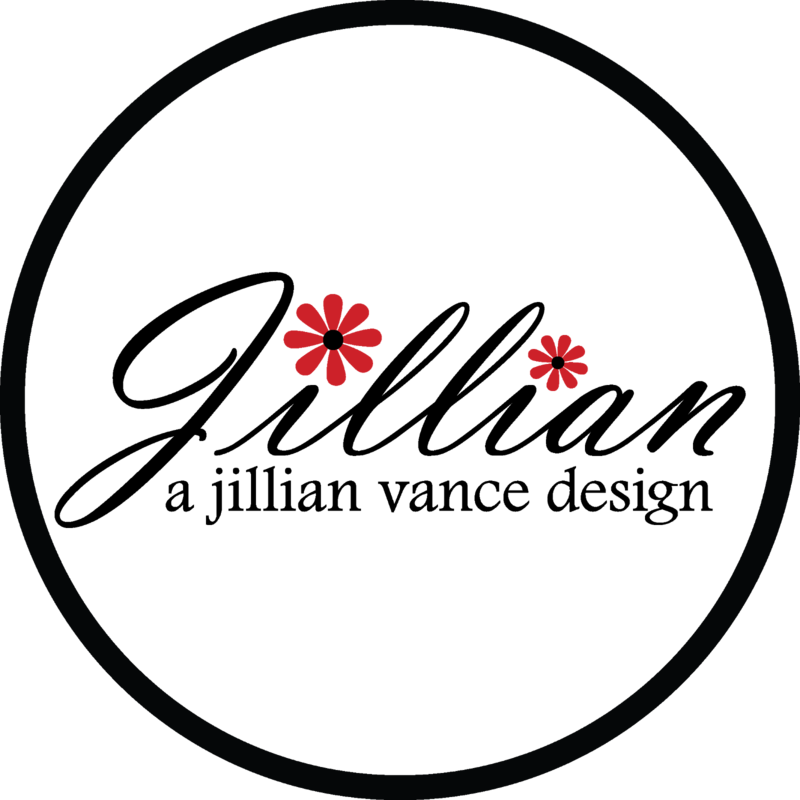 Enjoy your Monday, and keep coming back to the blog for continued inspiration from the AJVD Design Team. This is gorgeous and so delightful Kecia. Wow.